The Seal Quik Mask features a revolutionary design to set this mask in a class by itself. The uniquely designed resuscitation mask allows for rescue breathing both in and out of the water. The Seal Quik Mask features a revolutionary design to set this mask in a class by itself. The uniquely designed resuscitation mask allows for rescue breathing both in and out of the water. The clear design allows for condition monitoring of the patient. Also featured is an exclusive proprietary inline mask O2 inlet that prevents oxygen from escaping. Seal Quik CPR Mask is rated 4.6 out of 5 by 5. Rated 5 out of 5 by TamiluRN from Best Mask Ever This style mask is so much easier to create a seal with. 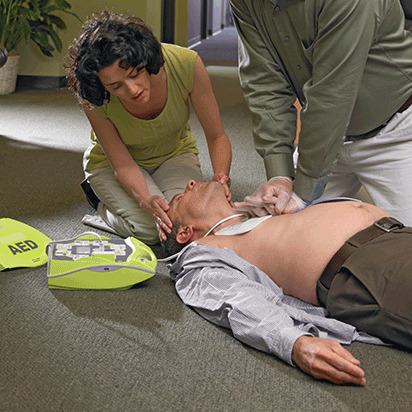 Builds confidence in CPR classes and much better seal for actual emergencies! Rated 3 out of 5 by Mattball27 from Watch the You Tube video before buying My company has been super happy with the red/pink Seal Rite masks that we had been getting on RCS, so when we needed masks for this most recent Lifeguard training expedition, that's what I was hoping to get. Being in a rush, I noticed that the color was different and texted my coworker to ask why before going ahead and just adding what we needed to my cart. It wasn't until we had started the CPR/AED portion of the class that I realized these were quite a bit different than what we had been using. First, you need a special tool to either inflate or deflate the mask. Serious problem that was not actually stated in the instructions that came with the mask or on the e-Commerce page. I literally had to stop mid-lecture to google a You Tube video to figure out how they were supposed to work and a) I didn't have 'special inflating tool' nor a way to get one, and b) to my knowledge, 'special inflating tool' is not sold on RCS either. Long story short, we got by for the class - even though I had to exchange out three out of seven of the masks I had originally passed out (and which the students had already written their names on in Sharpie) for more inflated ones - but I'm worried what will happen with these guards who diaspora after the class should their mask ever deflate and they don't have a way to get a new one easily. It's not a bad product, just not as great as the ones that were on the store before. Womp womp. Avoid the mistake we made though and maybe invest in a 'special inflating tool'. Rated 5 out of 5 by LifeguardInstructor from Perfect for lifeguards Great seal and strap. Perfect for lifeguard class and use. Rated 5 out of 5 by Lifeguard1988 from Great Mask! The features on the mask are far superior to anything else on the market.